Strength building workouts that make you slim down without cardio? Okay, sold. Fitness magazines and social media accounts are telling us how we can all get “PECS LIKE THESE NOW” and how to “TRIM DOWN FOR SUMMER IN 12 WEEKS” while posting inspiring pictures people like actors who are paid to get in shape for a role, or juicy fitness models who have seemingly unrealistic results for an everyday Joe. The last few issues of a certain gents’ fitness magazine I’ve seen in my local Tesco Metro have had the words “GET BIG ARMS NOW” on the cover for the last three months in a row. It’s not like I haven’t been trying, Jeez. 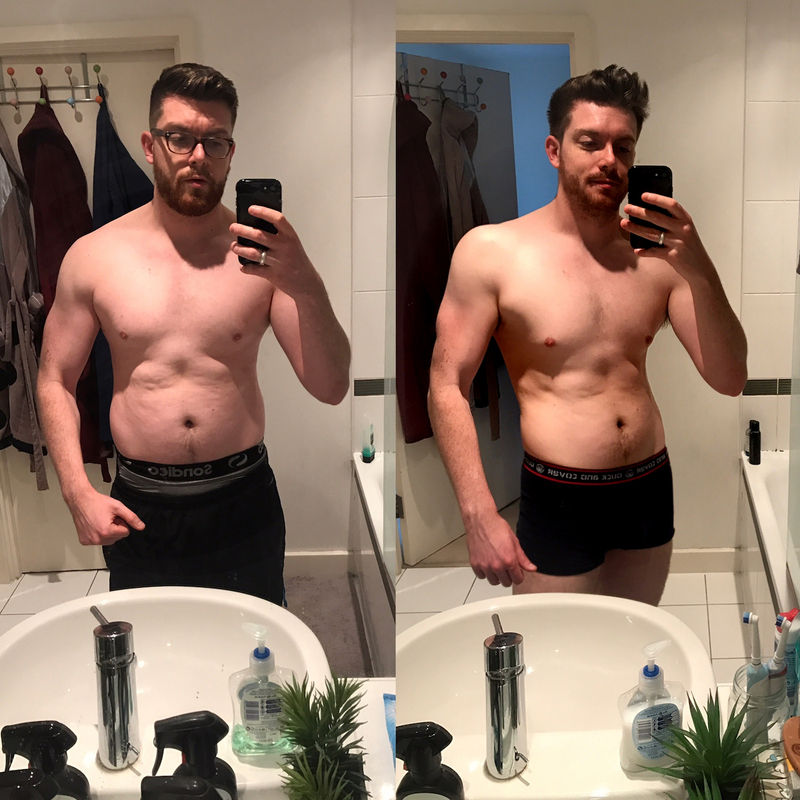 Last year the good folk at MaxiMuscle approached me to see if I wanted to take part in their ‘Home of Gains: 12 week body transformation’ – the opportunity to have a personal PT help me achieve my fitness goals. An amazing offer, right? I was dubious. I have a full time job and I couldn’t afford to take three months off to get in shape! 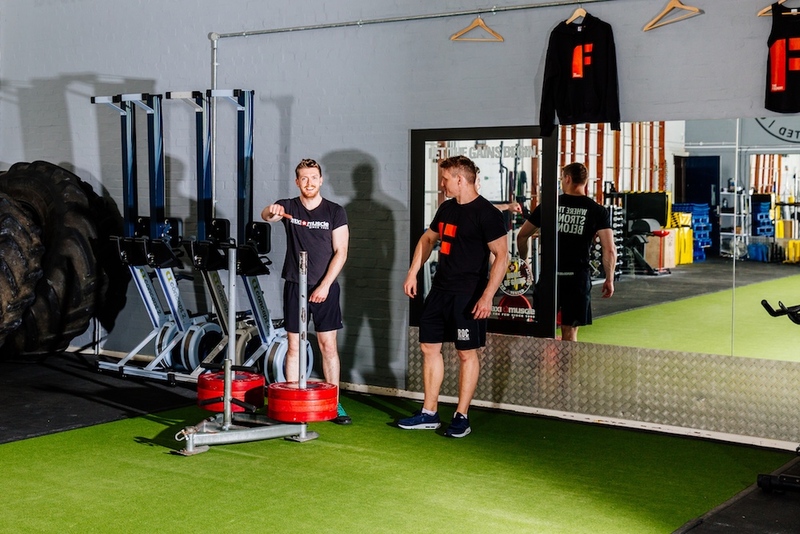 I felt like I’d tried so many similar routines from said magazines or what I’d researched on the internet but they offered me the chance to train at their new ‘Home Of Gains’ gym, The Foundry in south London, with personal trainer Richard Cross, while promising not affecting my day to day business. So, yeah, that’s the dream right? Richard has one of those physiques for a personal trainer where you just utter in a Liz Lemon tone “make me look like you, plz”. He helped debunk a bunch of myths that I’d picked up from a lot of pros or articles online that I’d read over my years, to the point where I was even holding my dumb bells incorrectly when doing a bench press! Why are these transformations in fitness mags always 12 weeks?! Good question! Depending on the person, it can take up to 21 days in order to break a bad habit, and also introduce good habits. The great thing about good habits is that they’re just as hard to break as bad ones! So if you can commit to eating well and going to the gym say 3 times a week consistently over a 12 weeks period, you’re far more likely to continue this after the transformation. For me, this is how I like to run my transformations. Initially it’s all about finding out as much as you can about the client. Lifestyle, training history, injury history, dietary habits, favourite foods, trigger foods, work/life balance, work hours etc. The more you know about your client the better. The first week or so reflects this and I like to stick to big, compound movements. We then start to ramp up the intensity at a level which is uncomfortable, but not unachievable. What’s the difference between conditioning and cardio? Conditioning is typically resistance based, which means we’re using weights that will stimulate our muscles as well as getting the blood pumping! Not all gyms have big tyres to flip. If someone is tied into a local gym, what’s the next best thing they can do to copy this training style? We were spoilt being able to train at the MaxiMuscle Home of Gains, but, yes, not every gym has awesome strongman equipment to hand. There are however plenty of alternatives we can use! 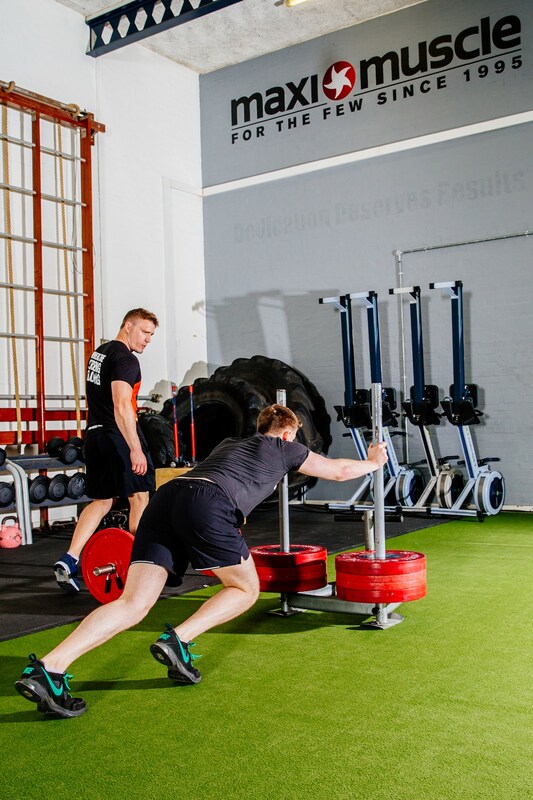 To simulate tyre flips, I have clients perform deficit deadlifts, which is where we deadlift whilst standing on either a weight plate or a box step. 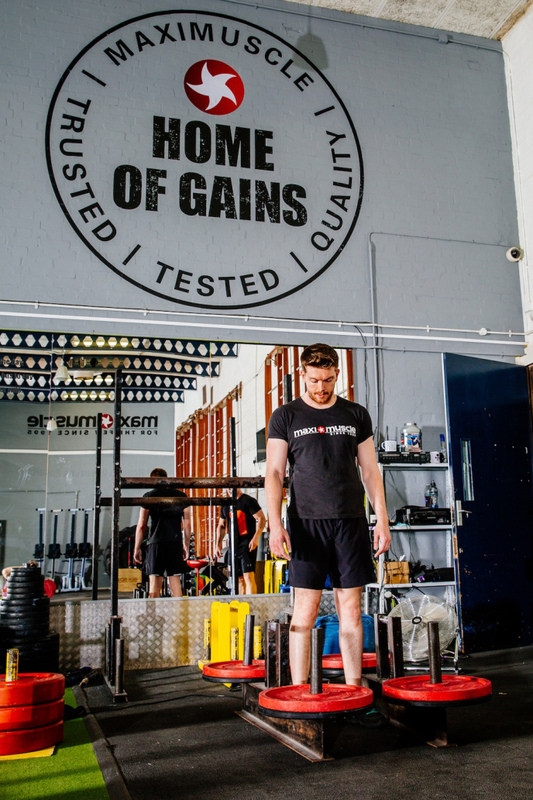 A tyre flip has you pulling from the floor, a traditional deadlift is 9″ from the floor, so the deficit helps reduce this to make it similar to a tyre flip. Exercises such as farmers’ walks can be performed using dumbbells or kettlebells. The real foundations of strongman will always be in big compound lifts such as squats, deadlifts and presses, which fortunately can be performed in any gym. How important is nutrition during these transformations? When it comes to changing the diet, or calorie amounts of a trainee, I’m a firm believer in ‘don’t fix what isn’t broken’. If progress is being made, then keep doing what you’re doing until the progress slows down. When we’re trying to make changes to our habits, it’s really important to keep as consistent as possible. You made me take creatine, what are the benefits? It does get a bad reputation, as very poor quality products filled the market when it was first released which caused bloating and water retention.This is why supplementing with high quality products such as MaxiMuscle Creatine Monohydrate which is 100% pure and won’t cause those bad side effects. Due to the level of purity it can be taken every day without having to cycle on and off, as the case used to be with poor quality creatine. I recommend people start out with a dose of 3-5mg per day. I visited Farm Fitness recently and there seems to be a new trend of ‘strong man’ training. Why is that? 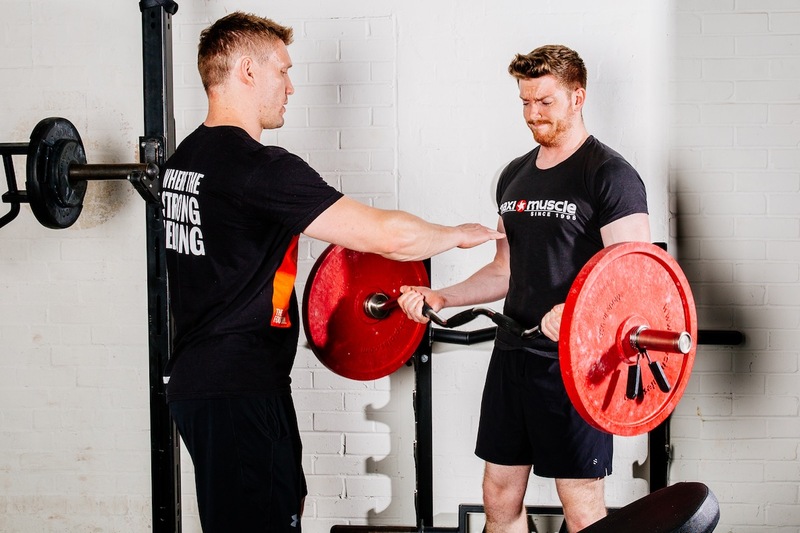 Strongman exercises often have you working towards as many reps as possible, lifting as heavy as possible, completing exercises as fast as possible, or moving something as far as possible. This creates a fantastic environment for people to challenge themselves, as well as providing a competitive element for those who like to push themselves or want to beat their mates! I also think it unrivalled in terms of a full body workout, so what’s not to love?! Thanks Richard, and thanks for making me only puke in a bucket a little bit over our twelve week programme! Below is a sample workout that can be utilised in any gym, so you don’t need rip the tyres from a nearby lorry. Thanks to MaxiMuscle and The Foundry, in Vauxhall. 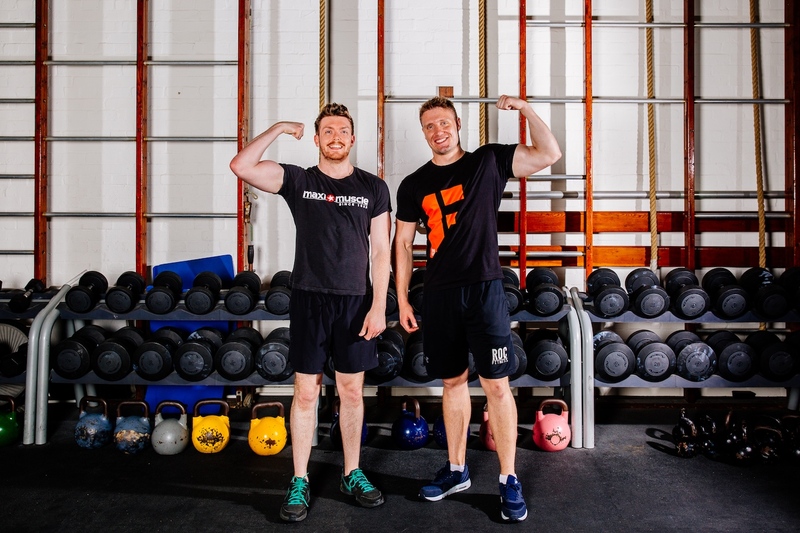 You can follow them on social channels at @MaxiMuscle and @FoundryFit. Pictures by Michael Chapman. This article was originally published in Gay Times Magazine issue 475. Updated February 2018. Previous Post Black Panther (spoiler free) review: The King is in. He mentions that there are lots of fantastic apps available for nutrition tracking. Which ones would you recommend? A great app to use is MyFitnessPal! You can log your food by scanning the barcodes on products and a lot of restaurants are listed there, so it’s real easy to log your meals/snacks while on the go too.